The lioness is the main hunter of the pride. 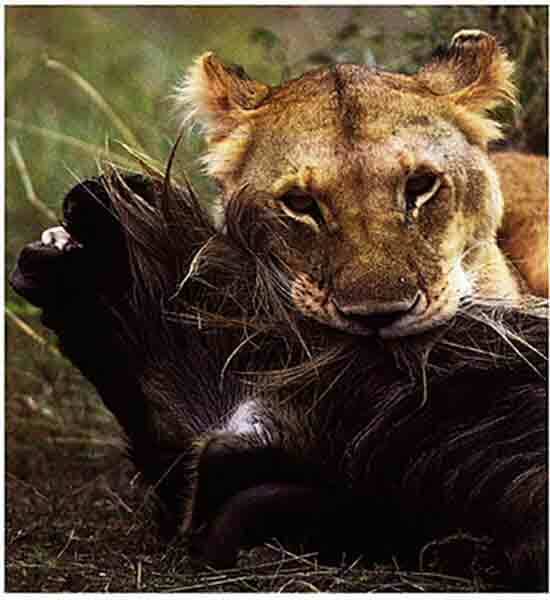 Prey is usually larger, Zebra, wildebeest, buffalo and gazelle. Most hunts are tag team where two or more lions take turns running their prey to exhaustion. Another main hunt is ambush. First to feed are the males. There are usually one "king" male and 3 or 4 younger males. Next in line are the Females who saddly do most of the work but are second in line. Last to feed are the cubs. 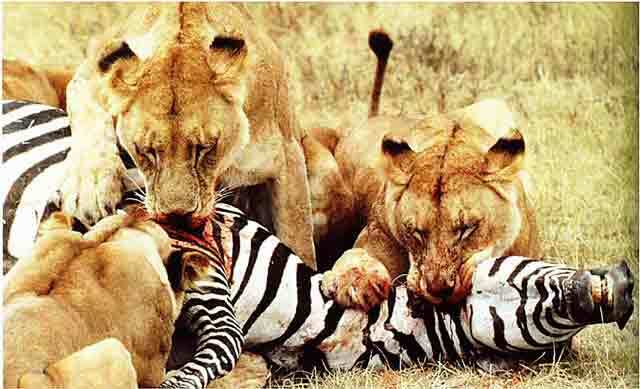 Individual lions hunt efectively, but are more than twice as successful at catching large prey, such as zebra, when they work as a team.